Have you ever cough-sneezed while blowing your stuffy nose? Yes? Then you understand the concept of multiple symptoms. 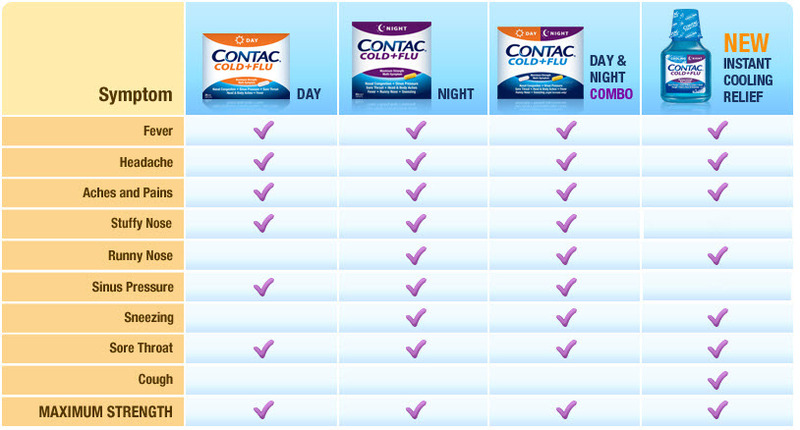 Face it: when a cold or the flu strikes, it’s never one symptom at a time, all neat and tidy. It’s more like a sledgehammer of sinus pressure piled on top of a raw sore throat with a dash of throbbing headache. A smorgasbord of sickness symptoms. Multiple Symptoms. One Solution. YAY. You’re busy. You don’t want to take a pill for your fever, a powder for your congestion, and so on. You want a powerful, multi-tasking remedy, a cold and flu medicine that provides the maximum strength relief from a long list of annoying symptoms. 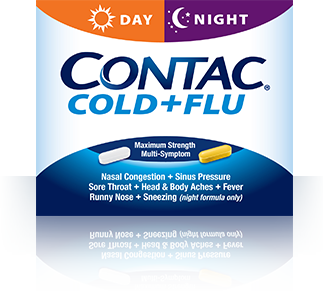 That’s Contac® Cold + Flu.